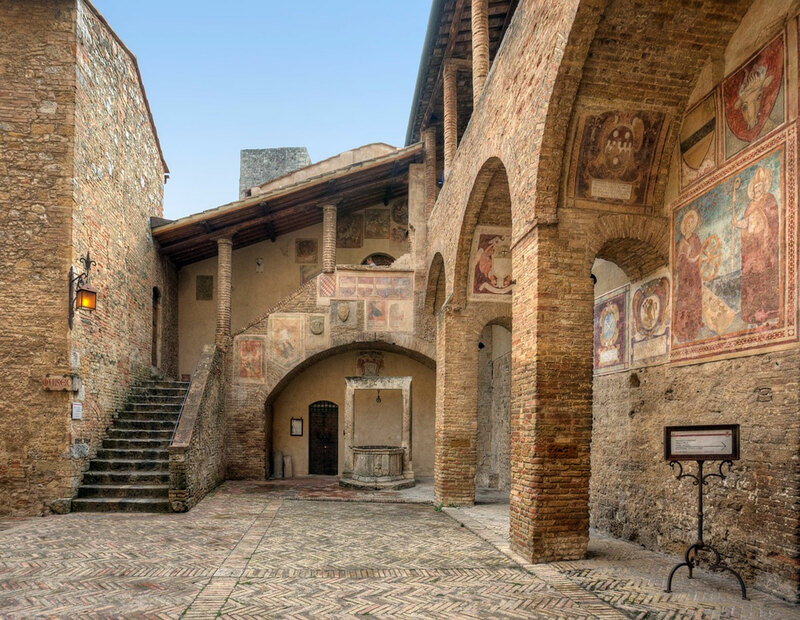 Following the Via Francigena from Certaldo towards San Gimignano you will find Agriturismo Pancolina, a small oasis in the heart of Tuscany. 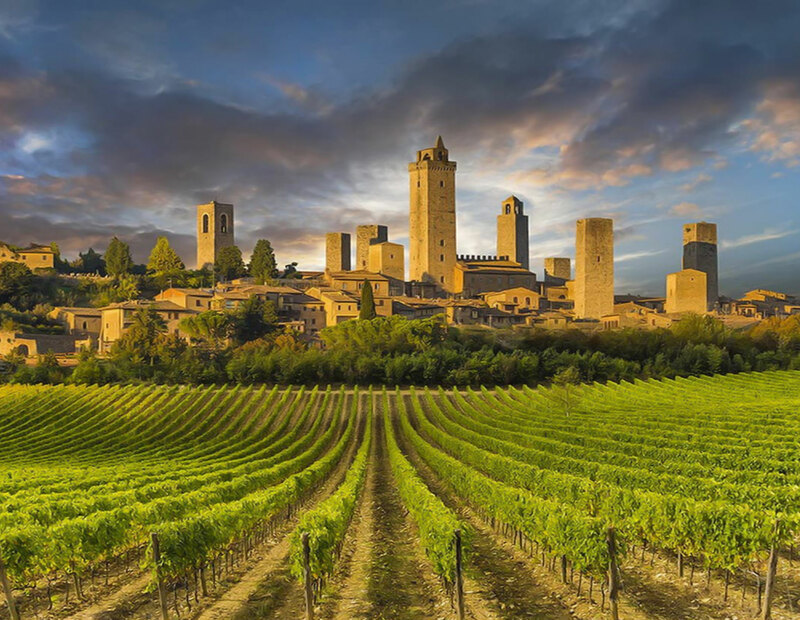 Surrounded by olive groves, vineyards and woods, Pancolina, from its hilltop position, overlooks impressive landscapes enjoying a stunning view on the towers of San Gimignano. Born in 1600 as a farmhouse, it is discovered by the “hosts” Pia e Peter, who restructure the property with care and passion. 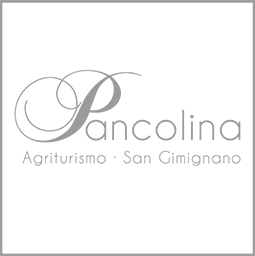 Today Pancolina is a charming agriturismo that offers guests comfortable apartments in a welcoming atmosphere. It is the ideal place to spend an unforgettable vacation, regenerating body and spirit, letting go to the lifestyle of the people and places of the territory. 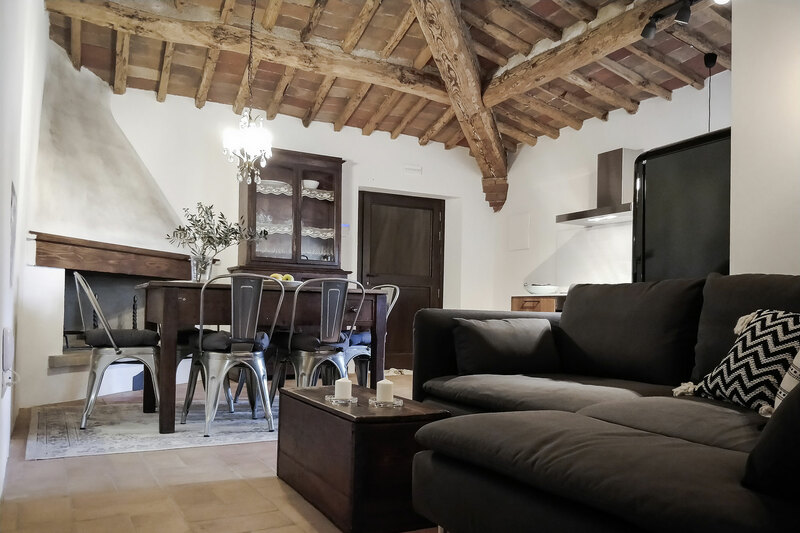 Five accomodations, each with different features and dimensions, but all furnished with care and elegance, combining new furnishing with antiques. 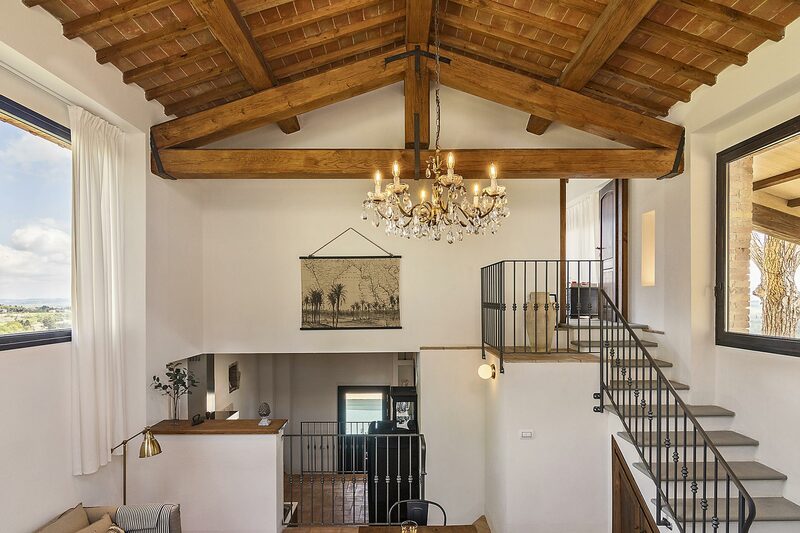 Large wooden beams, handmade Tuscan terracotta floors, travertine linings, exposed stone walls and open fireplaces create a unique and warm atmosphere. 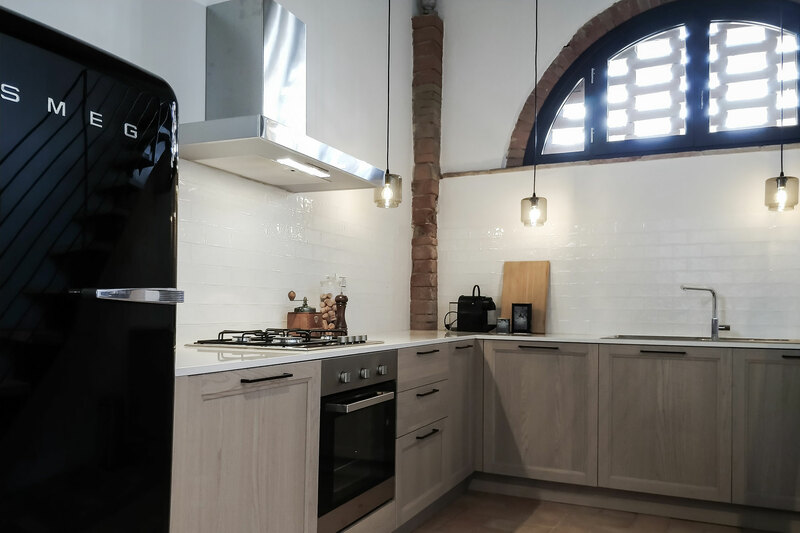 The apartments, with view on San Gimignano, the olive grove or medival Certaldo, are equipped with heating, air condition, dishwasher, television, mosquito nets and safety box and dispose of private outdoor areas. 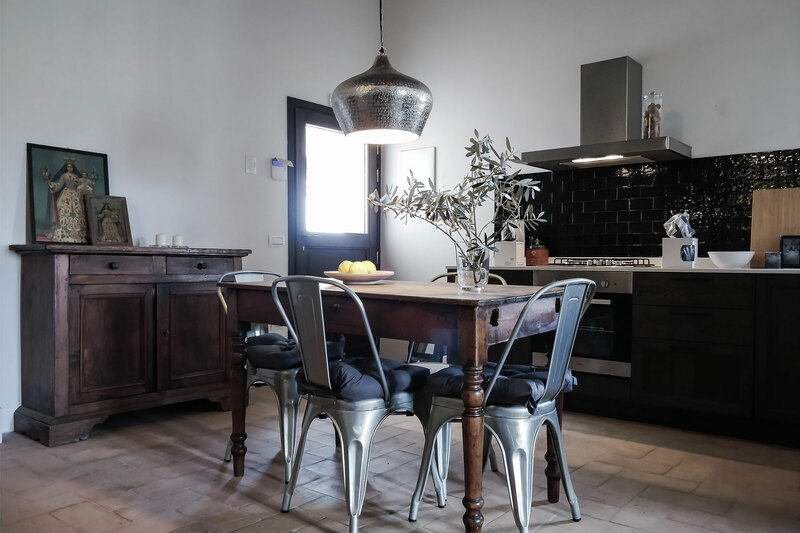 Apartment on the first floor of the mainhouse, composed of one double room, one bathroom with shower, a living area with fully equipped kitchen, an open fire place and a sofabed offering two additional sleeps. Beautiful double room on the ground floor of the mainhouse, with a spacious bathroom with shower. Independent cottage on two levels, composed of two double bedrooms, two bathrooms with shower, a living area with fully equipped kitchen and a private terrace with view on the pool. 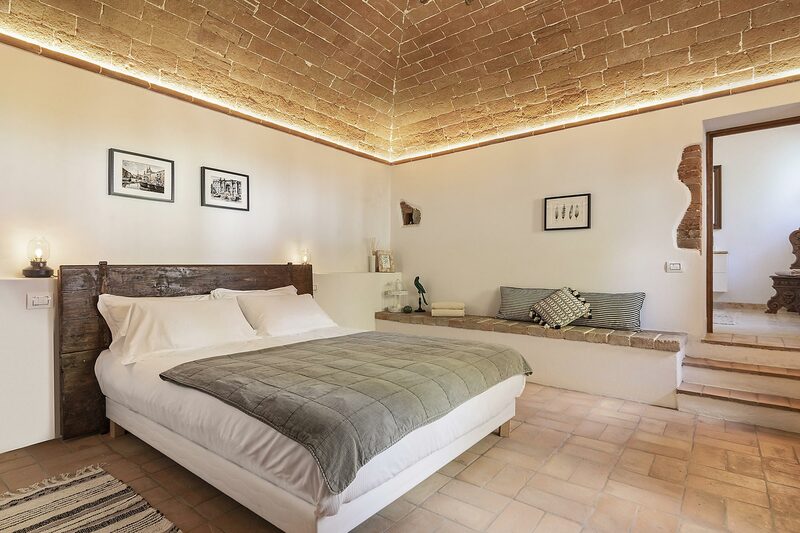 Apartment on the first floor of the mainhouse, composed of three double rooms, three bathrooms with shower and a living area with fully equipped kitchen and open fire place. 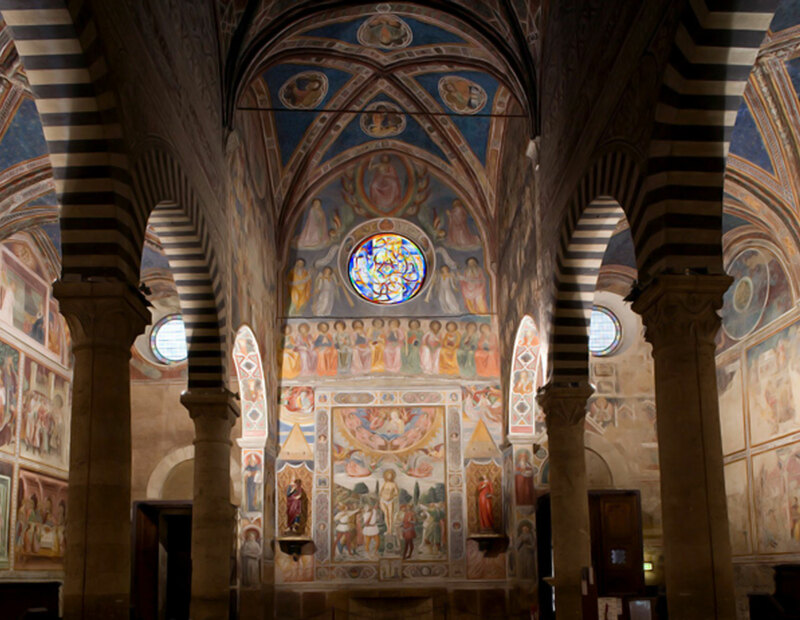 San Gimignano, small fortified town between Siena and Florence, is famous for its architecture and its beautiful medieval towers making the city profile unique. 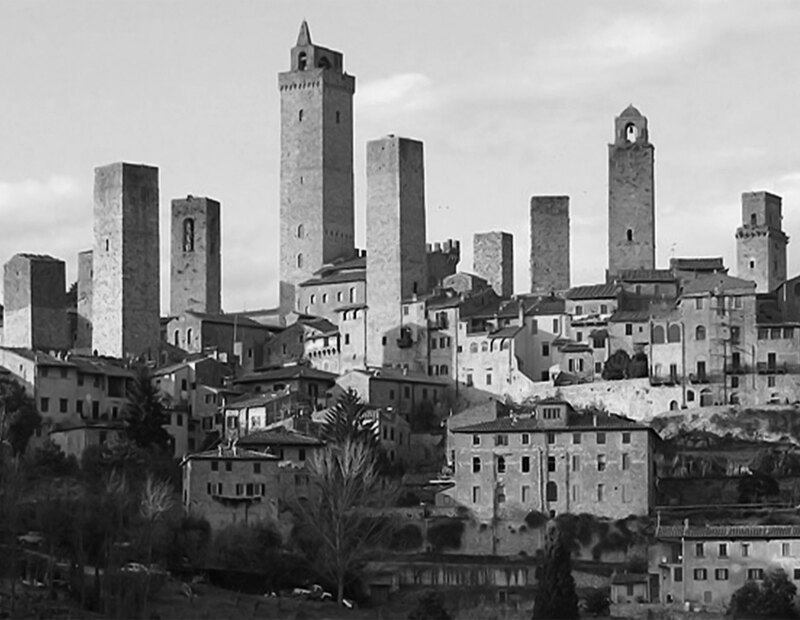 During the most prosperous period, the rich families of San Gimignano, constructed 72 towers as a symbol of their wealth and power. 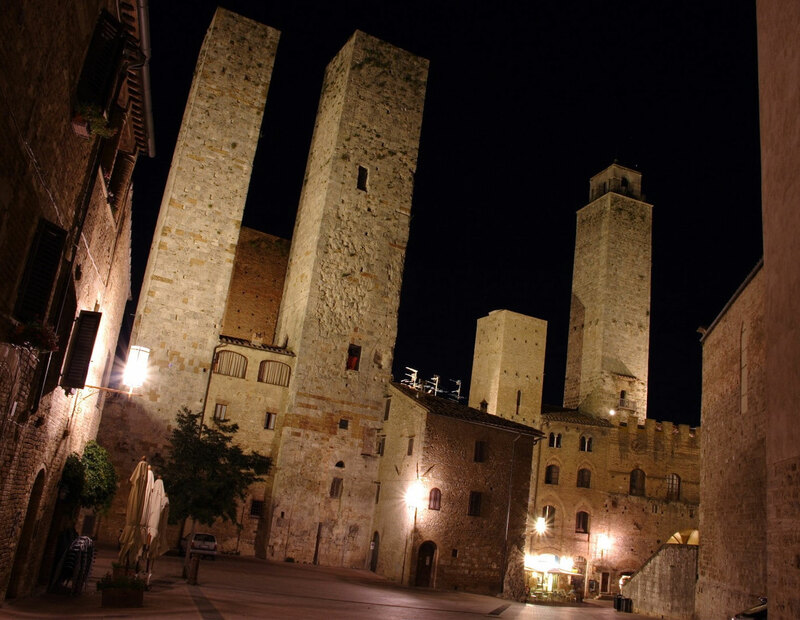 14 of these towers still exist today and make the atmosphere of this wonderful town even more fascinating. 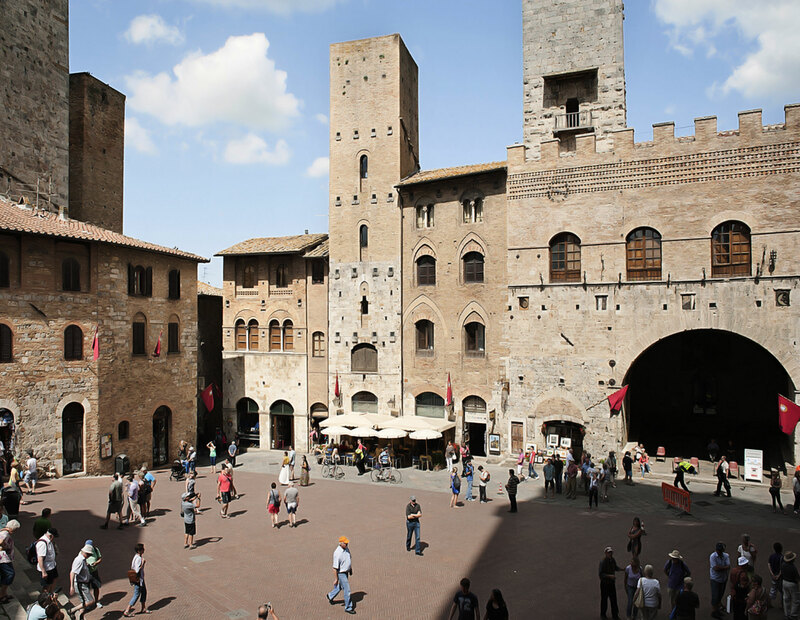 Declared World Heritage by UNESCO in 1990, San Gimignano is one of the small pearls in the area of Siena,offering also excellent local products such as saffron and white wine, the typical Vernaccia di San Gimignano.